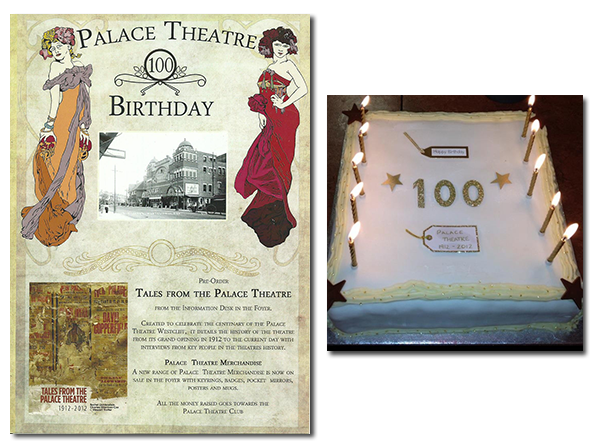 Having survived against all the odds, the Palace Theatre proudly reached its centenary on 21st October 2012. Working closely together, and with the considerable assistance of a £50,000 grant from the Heritage Lottery Fund, the Palace Theatre Club, together with HQ Theatres (led by Community and Education Officer Emily Malcolm) put on an extensive programme of activities to celebrate this very special occasion, involving as many people as possible in the Palace Centenary Project. 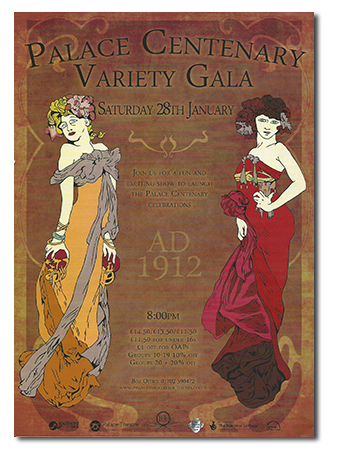 The Centenary year was launched on 28th January 2012 with a Grand Variety Gala. This series of acts, by amateur and youth groups, took the Palace back to its variety roots, while showcasing the considerable talents of these local groups. Local actor David Streames, who has a long history with the Palace, compered. The Palace Theatre Club has been collecting posters, programmes, photographs, press cuttings and numerous other items for many years. With guidance from Essex Records Office our archivist David Simpson and a group of volunteers have transformed this collection into a fully researchable Archive. In autumn 2011 David started cataloguing the collection. This turned out to be exceptionally comprehensive, with some 2,000 programmes, 3,000 press cuttings, 400 packets of production photographs, taken by the late John Alexander, almost 1,000 press releases, over 1,000 posters and many miscellaneous items. Once these had been catalogued, the Archive project moved to the next stage, which was to create a digital record. A group of volunteers – Betty, Debbie, Helen and Judy, assisted by Hazel in the early months – worked with David to create digital scans, which not only ensures the items are preserved, but allows the material to be researched, and disseminated, electronically. 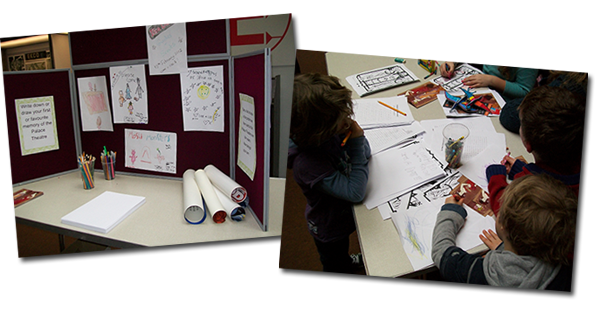 During 2012 six family activity events took place in libraries and at Southend’s Central Museum, with activities for children that raised awareness about the theatre by providing the opportunity for them to interact with many items from our collection. Chris Izod, at Belfairs High School, worked with 10 other local schools to create a film celebrating the Palace’s 100 years. Each school selected a decade in the theatre’s history and produced a short film reflecting life and the theatre during that decade. In doing so, the children learnt a great deal not only about the Palace but also about life in general during those past decades. The finished film was previewed during the Palace Cinema Recreation and premiered at the Palace on its 100th birthday. Over three days in September 2012 the Palace was transformed into the 1930s ‘Palace Cinema’. Short ‘bioscope’ presentations had formed part of the original variety bills, and feature films and documentaries had been shown occasionally in the 20s and 30s, but then, for a brief period from October 1932 to March 1933, the theatre became a full-time cinema. 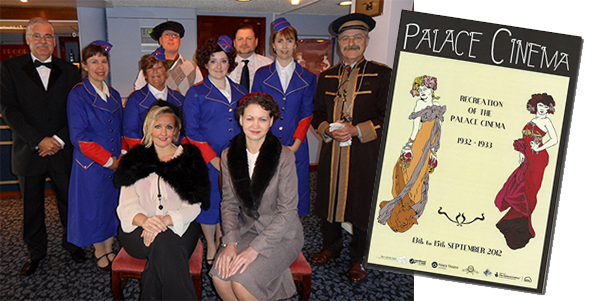 Organised by local film and media company The White Bus, this recreation paid tribute to the early picture palaces. Feature films that had originally played at the Palace Cinema were supported by period cartoons and comedy shorts in the evenings, while free children’s matinees were arranged for local schools. These included cartoons and comedy shorts and also an introduction to ‘going to the pictures’ in the 1930s and a documentary about life in slum housing, giving the children an idea of what life would have been like for them at that time. Many of the children dressed up, as did many adults! To create an appropriate atmosphere the modern foyer was given a 1930s feel, with curtaining and art deco styling, a selection of cocktails was served from the bar, bags of sweets were sold from jars at the kiosk, staff members were provided with ‘Palace Cinema’ uniforms, the cinema manager sported his best dress suit and a uniformed commissionaire greeted patrons. The Palace Theatre’s official birthday was on Sunday 21st October. This was celebrated with an Open Day, during which the public took backstage tours, browsed through many items from the Archive and enjoyed a slice of birthday cake! Over 2,000 people came along throughout the day, a wonderful testament to the affection the theatre holds for a great many people. Phil Ormrod and Oliver Lamford, of theatre company Switchback, were commissioned to write and direct a play that involved as many of the local community as possible. 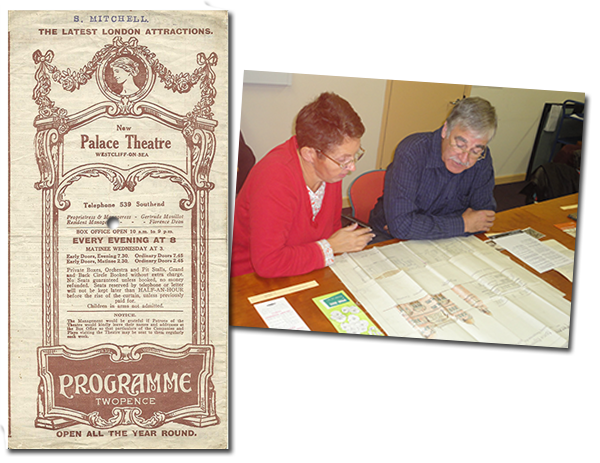 The process began with them working with local groups such as youth groups, schools and amateur dramatic societies to workshop ideas, inspired by material in the theatre archive, which were incorporated into a composite play with the help of local writers groups, including the Palace Writers Group. 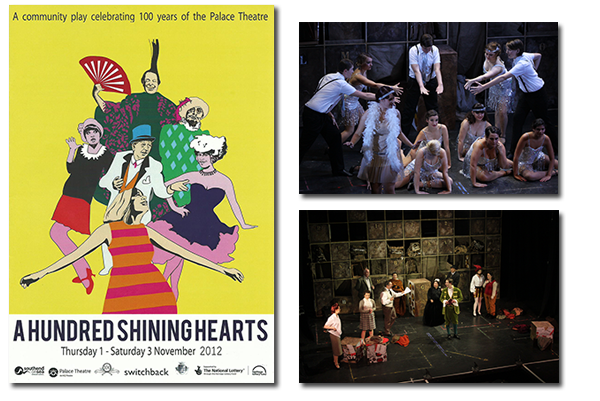 The resulting play, A Hundred Shining Hearts, told the story of a number of fictional characters, created from real-life Palace people, at the theatre in the 1920s, 1940s and the 1970s, and concluded with a look at the theatre today and tomorrow. Following extensive rehearsals the play was performed from 1st to 3rd November 2012. Although a number of those who acted in the play or worked backstage were members of local acting groups, for many of the cast this provided a first opportunity to get involved in local theatre. 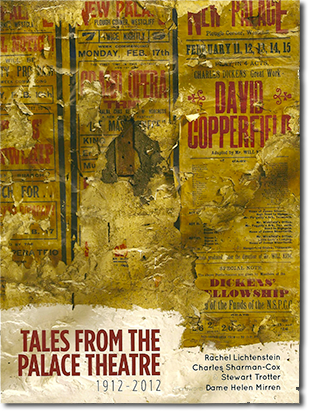 As a final Centenary celebration a new book, ‘Tales from the Palace Theatre’, was commissioned as a last act by the Palace Theatre Guild. This lavishly illustrated book, telling the story of the Palace’s first 100 years, was launched on 1st November 2012 at the first night of the Community play, A Hundred Shining Hearts. The launch was attended by former artistic directors and other significant figures from the theatre’s past, and present. This splendid event was a fitting finale to a wonderful year of celebration. ‘Tales from the Palace Theatre’ can be purchased at the theatre. All proceeds go to the Palace Theatre Club. This page was added by Ian Grant on 19/10/2013.